Kelly is an extremely talented artist who has worked in several different media but she’s currently making her living mostly by her oil painting. I’ve known her since she and my sister were in high school together and her art has only gotten better. She does all kinds of paintings – portraits, pets, still lifes, fantasical images. She’s incredibly creative. You can find her on Facebook and at her website. Here are a couple of samples of her work: The first is my sister’s first Great Dane, Zoe and the second is part of a series of paintings that Kelly used my sister as the model for. Although the second one has a price listed, I believe that it did sell. I started and ended 2017 pretty well here…. the middle was a bit of a mess. I don’t want that to happen again. So here’s the plan and how I intend to stick to it. I’m committing to one post a week here. I may, at times, post more often, but the commitment is once a week. I’m scheduling craft, reading, and posting time every week. So I’ll have projects and books to post about. I’m setting up drafts for posts 3 months at a time. In most cases they’re just titles and a few notes bit they are ready and waiting. And what will I be posting about? The actual projects themselves… some calligraphy, iconography, weaving, sewing, costuming, needlework, bookbinding, crochet and other fiber arts… And who knows what else. I’m planning on exploring a lot of the shadows in 2018 and recording what I discover. Come wander with me. 2017 had moments if brightness but a lot of the year was cast in shadows that were dark, even for me. I wanted to post here more often but work and life got in the way. The brightness I wanted to bring to people, the people I wanted to throw the spotlight on, I let fall by the wayside. I think I’ve figured not only what went wrong, but how to keep it from happening again. So I’m coming out of the shadows, at least a bit though I doubt you’ll find me standing in the sunshine. I like to cook but I don’t do it as often as I should. It’s a pain to cook for just one person and often it just doesn’t seem worth the effort. But I’ve been cooking more often over the last few months and it’s because of Blue Apron. Every other week or so I get a box delivered. It has instructions and all the ingredients for three recipes and each recipe makes two servings. Some of the recipes stretch to three servings, but whether they do or not I get the current meal and one serving of leftovers to take to work for lunch. That works out near perfectly for me. I also get to try lots of different kinds of food without having to buy lots of specialty or hard to find ingredients. If I like something a lot, I have the recipe and can go ahead and invest in the special items it may need. Using the Blue Apron service helps my budget because I’m not wasting ingredients. It also expands my culinary experience and food palette. I’d recommend it if you’re interested in either. It’s been eleven months since I posted here – good intentions got swept up in the chaos and shadows that sometimes overtakes life. 2017 was a busy year. One of reasons this blog faded was because I didn’t have space to do much in the way of crafting. The biggest event of 2017 changed that. I moved from a 500 square foot, one bedroom apartment to a two bedroom condo with almost twice as much room. Now I can find all my craft supplies without digging through stacks of bins and boxes. And my craft table isn’t piled high with some of those same bins and boxes. Things are still a little crazy – I’m working swing shift for a few months as an instructor for our new hires at work, and I’m concentrating on my writing. But crafting is still important to me. So I’m going to start posting here again and by the beginning of 2018 I’m going to start actively working on it again. I dropped off on the Spotlights I was posting too – and I’ll be bringing them back – along with book reviews and other wanderings in the shadows. Today’s spot is going in yet another direction. One of the people I met at the Sirens Conference is a writer, but she also offers a unique take on life coaching. She targets her coaching toward those in the more creative fields. Being a writer herself, she has some insights the average life coach may not. Are You Pursuing Your Dreams? Or are you scraping for energy to write after work? Unable to find focus for art projects on the weekends? Wishing you had time for both work and play? UNLOCK YOUR POTENTIAL FOR MORE WITH COACHING. Bethany is a lovely person to be around, and she has the ability to help you see where you need to make changes to improve your creative efforts and feel better overall. And I think creatives, even more than those that don’t pursue creative endeavors, sometimes need some help keeping that creative well full and flowing while balancing the more mundane tasks life requires. You can find information on Unlock Coaching and Bethany on her site, linked above, and on Facebook. She coaches both in-person and long-distance. If you’re feeling like you could be doing better, doing more, take a look. You never know how a different set of creative eyes might be able to help you out. Krypton Radio – it’s Sci-Fi for your Wi-Fi! Krypton Radio was created in 2009 by Gene Turnbow and friends because they wanted a geek radio station to listen to while gaming. If you’re a geek or fan of speculative fiction, movies, games, anime, or anything along those lines, this is a station for you. Krypton Radio plays an eclectic mix of music from the entire spectrum of nerd culture. We also play old time radio serials, and even have geek DJ’s. We’re the only station in the world that plays music the fans make themselves. We have geek-centric talk shows, radio dramas and a ton of geek tunes. It’s all family safe, so yes, if you’re a kid, or are old enough to have kids, everybody can listen. Visit their site, give them a listen. You can stream the station on your computer or mobile device, and listen in-game on Second Life, InWorldz, and Open Sim. If you like what you hear, give them a shout out on social media. You can find them on Facebook and Twitter. If you’d like to support them, for as little as $1 per month, you can do so at Patreon. One of the things I’m not good at is following up on ideas. I get great ideas and intentions, and then forget to follow up on them. There are a couple of different ways I’m trying to map out tasks and ideas I need to follow up on. I’ve created my own “planner.” It won’t really kick in until the new year, but it is helping me keep track of the events and tasks that are easily planned and scheduled. Once the new year starts I’ll probably add a bullet journal into it. I’ll try to include pictures once I figure out how I’m going use it. I also have a “creative” journal – the idea was to divide each pair of pages up into seven sections and then decorate each of the sections with something that applied to that day. It could just be the date and a freehand background design or it could include other decorative items like tape or stickers. It could include the horrible drawings that I do – because I haven’t sat down and applied myself to actually learning to draw LOL. Great idea – execution not so great. Sometimes I remember to decorate a section and sometimes I don’t. It really depends on how many things I have on my mental list for the day. I got smart and put all my writing ideas in one place. When I’m ready to take one from concept-and-notes to actual story, I transform the concept card/folder into its own file. And for the series that wasn’t supposed to be a series 😉 I’m creating a “canon” book or story “bible” so that I don’t lose details about characters, places, timelines, etc. I’m still working on finding the combination of things that will let me map the shadows effectively. How do you map your journeying? The past week my concentration has been writing-related. If you saw the previous post, I’m sure you’ll understand why. As a result, I’ve been doing very little crafting. I’ve done some knitting on an ongoing shawl project, but that’s about it. So…. I’m going to keep things writing related and recommend a few authors who inspire me. I adore his Solar Clipper/ Deep Dark stories. The main characters aren’t “heroes”. They are everyday people who make the effort to look outside of the boxes they are familiar with. In Quarter Share, the lead character’s first accomplishment is making good coffee! Ishmael’s stories go with me every time I travel. They’re old friends that I never tire of catching up on. At the same time, I avidly look forward to Nathan’s new stories – especially those in the Solar Clipper/Deep Dark universe. From their self published and small press works to their traditionally published novels, I’ve loved everything – fiction and non-fiction – I’ve read. Both are extremely approachable on social media as well. If you want a fun entry point to steampunk, that involves more than just pasting gears on to things, try their Ministry of Peculiar Occurrences series. There are other authors I adore – but they have larger, traditional publishing audiences. These authors are perhaps (Scott is a NYT bestseller) less well known. But they are all authors that I’ve personally met – back in the early days of podcasting. They’ve chosen to blaze non-traditional paths for others, including myself, to follow, and for the most part not gotten the credit or recognition they deserve. They helped to set me on the path to publication, encouraged me in podcasting, brewing, and writing. The least I can do is give them a shout out here. These are some of the authors that light the paths through the shadows for me. Maybe they can do the same for you. I spend a good amount of time wandering in the shadows of my own mind. The stories I find there, at some point, get written down – or at least notes get made about them. I have a completely different site for my writing: J Lynn Baker, so you won’t see me talk about here very often. But something sort of big is happening today. 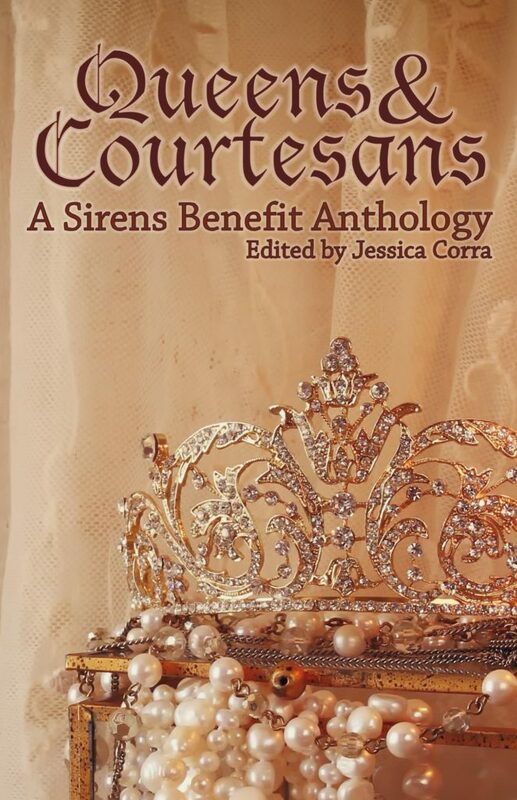 I have a story in an anthology. Today is Cover Reveal day. And today is the day the e-version of the anthology goes on pre-sale. So I had to post something about it here. All the details, information, and links are available at the other site, so I’m just going to post the cover art, created by the very talented Amanda Lewis. Proudly powered by WordPress Theme: Bold Life by Jay Hafling.